Is it okay to be drooling writing this recipe!? 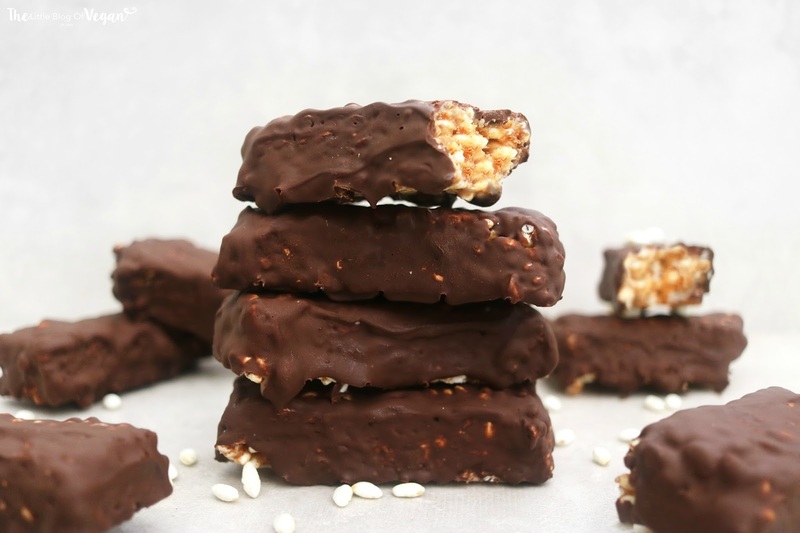 These vegan toffee crisp bars are absolutely divine! Before I was vegan, I loved Toffee Crisps. I wanted to recreate a vegan version but also make them healthier using natural sugars and fats. 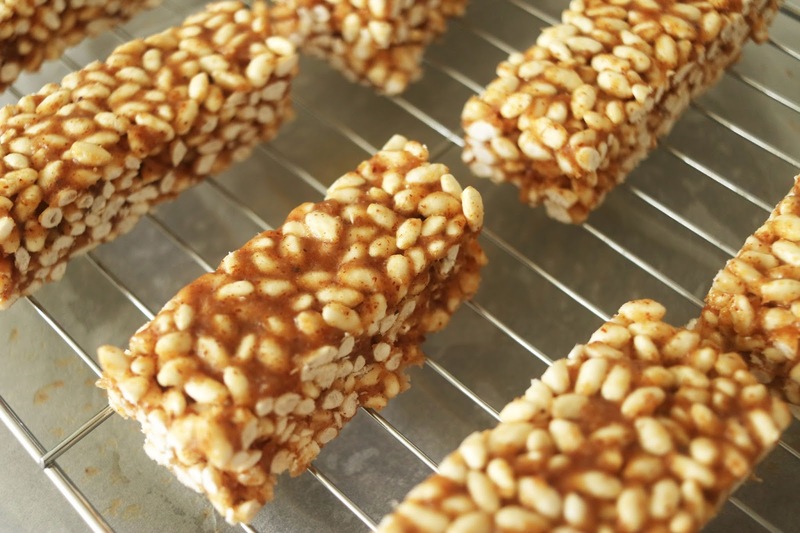 I used gluten-free whole grain rice crispies which are the delicious crunch in these bars, along with my homemade caramel sauce which contains only 3 ingredients. I doubled the caramel ingredients so I could make more bars. It honestly makes the best, sweet caramel sauce ever! I covered the bars in melted dark chocolate which is rich, full of antioxidants. 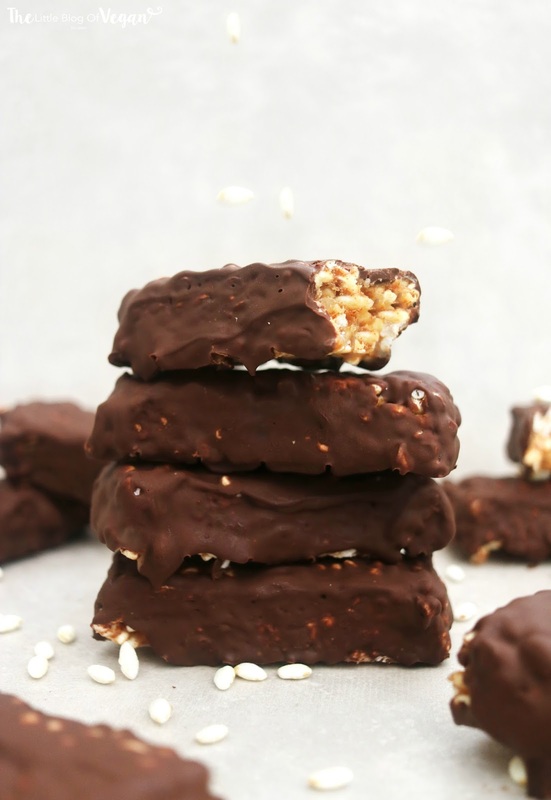 These bars are a guilt-free alternative and I am sure you will love them, I do! Step 1- Line a square baking tray with grease proof paper. Step 2- Make the caramel sauce. Get my easy caramel sauce recipe here. Step 3- Immediately mix the cereal into the caramel until combined. Step 4- Press the mixture into the lined tin and place into the freezer to firm up. Step 5- Melt the chocolate. Step 6- Remove the caramel mix from the freezer and cut into small bars, then dunk each bar into the melted chocolate and place onto a cooling rack. Allow to set then serve. Hi! Can you please tell me the measures of the square baking tray you used? Thanks!